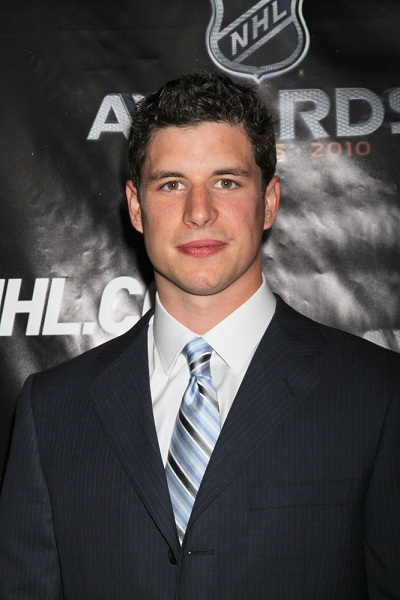 Sidney Crosby is a Canadian professional hockey player. He is the son of Trina (Forbes) and Troy Crosby. Sidney’s paternal grandfather’s surname was Crosby. Sidney’s paternal grandmother was Linda Faye Ball (the daughter of Sidney/Sydney Ball and Nancy Bradshaw Harvey). Linda was born in Dartmouth, Halifax, Nova Scotia. Sidney’s great-grandfather Sidney Ball was born in England, the son of Herbert Ball. Nancy was the daughter of Stewart Blackler Harvey and Margaret Jane “Maggie” Isnor/Eisner. Sidney’s maternal grandfather was named Harry/Henry Patrick Forbes. Sidney’s maternal grandmother was Mary Catherine/Katherine “Kate” McCarron (the daughter of Gregory McCarron and Julia Myrtle Firlotte). Gregory was the son of William Edward McCarron and Mary McKinnon. Julia was of Acadian (French-Canadian) descent, and was the daughter of Peter Andrew Furlotte and Marie Louise Page.